You'd think, because we're Southerners, that we'd love mint juleps. But unless it's married to chocolate or flavoring toothpaste, we're not big mint fans. So we eyed this daiquiri a little warily when it was served to us at Lever House restaurant in New York City. Turns out, the leaves weren't mint, but sage, which has a deeper, more complex herbaceous flavor. 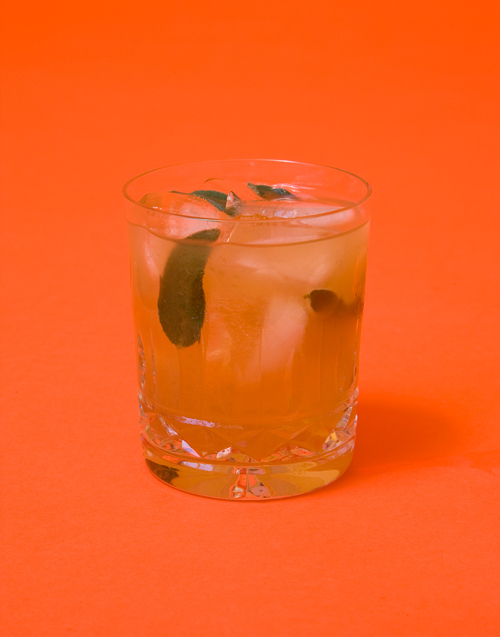 It turned what is typically a fruity umbrella drink into an unusual, sophisticated cocktail. We adapted the recipe for home bartenders, and we also recommend you sample the original next time you're in NYC. Tear the sage leaves in halves or thirds, put them in a cocktail shaker and add the lime juice. Muddle the sage (crush it against the bottom of the shaker with a wooden spoon). Add the rest of the ingredients and a handful of ice. Shake for 10 seconds. Pour the drink, with ice, into a glass.